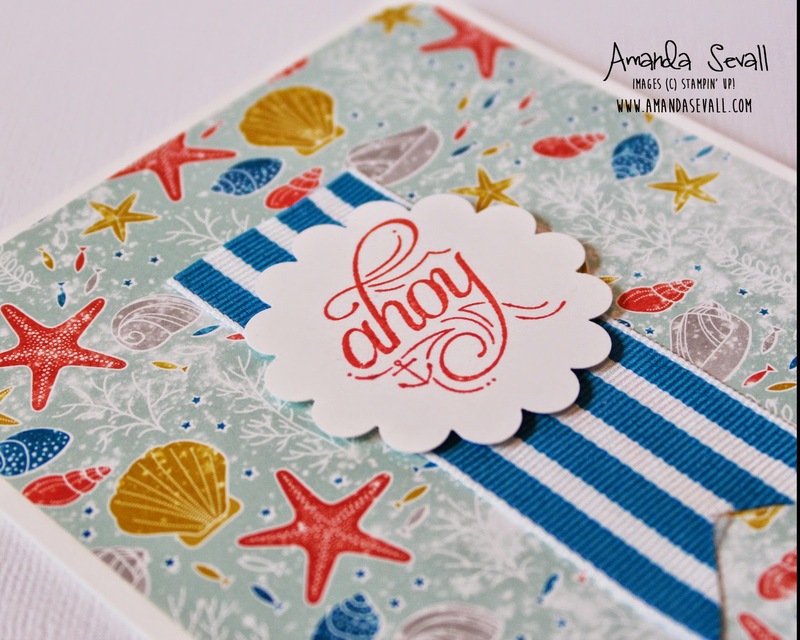 Amanda Sevall Designs: 365 Cards: Ahoy! So this card is a sample I made using instruction found in the Stampin' Success magazine for demonstrators that I get every other month! I almost never use Whisper White as my card base, but I really love it on this card! 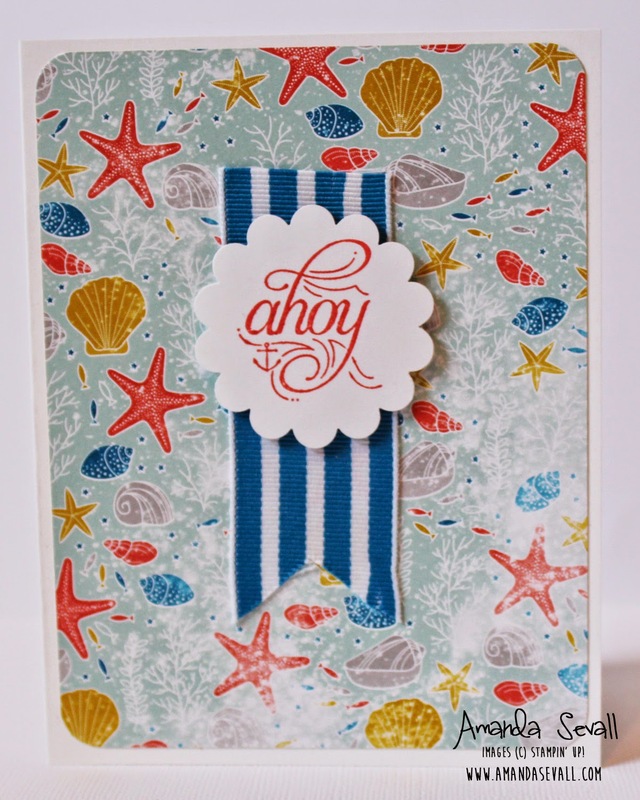 And isn't that patterned paper cute?